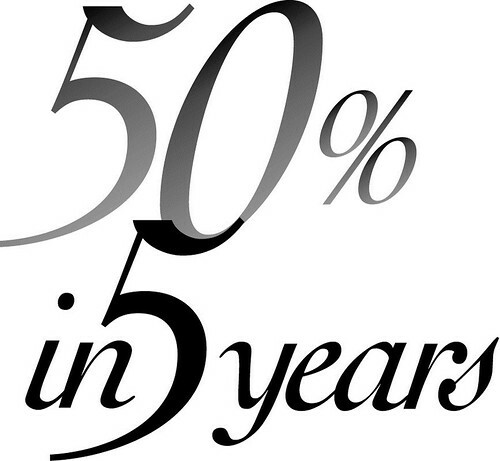 As we end the third year of our 5-Year Breakthrough Goal, “to shorten the time to diagnose Sjögren’s by 50% in 5 Years”, we are honored and excited to announce that we have seen another decrease in the average diagnosis time has decreased! It is now 3.9 YEARS! Since then, the Sjögren’s Syndrome Foundation (SSF) has worked with a marketing research company to survey newly diagnosed patients to seek the time it took them to receive a proper diagnosis of Sjögren’s. This data, along with other important questions we ask, is then used to set our new benchmark and develop programs of how to increase awareness. The SSF knows that having patients spend an average of 3.9 years searching for answers without receiving treatment is still too long but we know that this decrease reflects the major progress being made in the awareness of Sjögren’s. We know that having patients diagnosed faster will also benefit all Sjögren’s sufferers because as physicians start seeing more patients in their practice with Sjogren’s, they will need to become more knowledgeable about the different manifestations of Sjögren’s and the treatment options available. Sjögren’s can often be overlooked or misdiagnosed because a patient’s symptoms can manifest in various ways and the disease can affect every body system. We know that diagnosing a patient quickly can be a challenge because often a patient will discuss tooth decay with their dentist, vaginal dryness with their gynecologist and fatigue or joint paint with their primary care doctor. While each symptom alone wouldn’t indicate an underlining autoimmune disease, when coupled together they would suggest Sjögren’s. This is why our awareness efforts work on educating all specialties within the medical community, as well as encourage the general public to be their own health advocate by knowing the symptoms of Sjögren’s! • Theme 1 – “SSF Patient Resource Sheets” This campaign focused on our AA distributing information about the 20+ Sjögren’s Patient Resource Sheets that are available for download on our website, . These sheets are available for rheumatologists to print out and distribute to their patients to help them with their various manifestations and complications with Sjögren’s. • Theme 2 – “Dry Mouth Issues” This theme was our focus on making sure that dentists and primary care physicians knew that increased tooth decay could be a sign of a systemic issue, such as Sjögren’s. In addition, we asked our AA’s to distribute this information to local community health centers about dry mouth and tooth decay. • Theme 3 – “Fatigue & Sjögren’s” Our final theme was our first foray into educating physicians about the connection between Fatigue and Sjögren’s. A huge issue for many of our patients and an area that we know physicians need to educated about. This information was distributed specifically to primary care physicians, rheumatologists and OBGYNS. We hope that in 2015, more of you will step up and serve as an Awareness Ambassador. We encourage you to visit our website at www.sjogrens.org to sign up and get more information. In addition to our strong Awareness Ambassador program, the SSF has also used our online presence and social media outlets to get Sjögren’s information out to the masses. The SSF blog, “Conquering Sjögren’s: Follow us on our journey to change the face of Sjögren’s,” launched simultaneously with our Breakthrough Goal as a way to educate and increase awareness for both diagnosed and undiagnosed patients. This blog alone has over 3,000 subscribers and over 500,000 views! This coupled with our strong online presence on Facebook and Twitter, it is our hope that information shared will encourage undiagnosed patients to talk to their doctor about the possibility of a Sjögren’s diagnosis. The most recent survey results that show our diagnosis time to be 3.9 years, also showed that although a significant number of newly diagnosed patients were referred by another physician to a rheumatologist to be tested for Sjögren’s. Most impressive, however, was that many of the newly diagnosed patients went on their own and were not referred by another physician, which shows that our specific strategy of increasing general awareness and driving potential patients to our website to learn more about Sjogren’s is working! Increasing involvement from our friends and partners is a critical aspect to achieving our Breakthrough Goal. The SSF strongly values our partnerships with other autoimmune disease organizations, especially those that regularly coincide with Sjögren’s. The SSF staff serves on various coalitions to advocate on Capitol Hill and ensure Sjögren’s patients are not forgotten in the healthcare debate. Most recently this past December, Steven Taylor, SSF CEO, went with Virginia Ladd, president of Autoimmune and Autoimmune Related Diseases (AARDA), and three other patient organizations to meet with Health & Human Services (HHS) and further the conversation about the healthcare coverage needed for autoimmune patients, specifically those suffering from Sjögren’s. Joining together has helped make the SSF effective in changing the way Sjögren’s is viewed within the healthcare policy community, on Capitol Hill as well as among our elected officials. As you have seen in past issues of The Moisture Seekers, we continually ask our contacts, friends and their families to help us spread the word by participating in awareness events and other activities. Our Sjögren’s Walkabouts, Sip for Sjögren’s and our Team Sjögren’s events allow patients to connect in a casual and fun environment that also increases awareness in their community and raise funds for Sjögren’s. We encourage you to check this issue to see a calendar of upcoming SSF events this spring and summer. If you don’t see an event near you – we hope you’ll contact the SSF about organizing one in you area. And finally the SSF has worked hard at creating partnership with corporations and private foundations to create awareness programs for Sjögren’s. One of these new partners includes Nicox makers of the “Sjo” test, a new diagnostic tool that is being used to help us speed up the diagnosis time for Sjögren’s. Nicox partnered this past year on a large awareness initiative to eye care providers as well as worked with the SSF on a national awareness campaign for Sjögren’s. This is just one example of many companies that are starting to help the SSF increase awareness. Professional education will also help physicians understand the severity of the disease and how best to treat Sjögren’s patients. That is why the SSF’s recent development of Sjögren’s clinical practice guidelines is a critical facet in achieving our Breakthrough Goal. These guidelines will help standardize patient care by giving physicians a roadmap of how to treat, monitor and manage their Sjögren’s patients. Working documents of these guidelines are currently being reviewed and continued to get praise from the American College of Rheumatology, the American Dental Association and the American Academy of Ophthalmology. In addition, the SSF Clinical Trials Consortium has built up tremendous strength this past year in encouraging the availability and development of more therapies for Sjögren’s. This group continues to engage in dialogue with government agencies that oversee therapy development and approval. Our goal is that by building relationships and learning the approval system, we can help speed the process for the development and approval of new therapies for Sjögren's! The SSF is also thrilled to announce that there are currently 16 compounds or molecules currently under review for clinical trials for Sjögren’s. The SSF is working with each of the companies that have a molecule or compound and helping them understand Sjögren’s, understand our patient community and encouraging them to continue their fight to develop a treatment for our disease. We encourage you to watch future newsletters for more information clinical trials and the progress that is being made. As you can see, the momentum to reach our 5-Year Breakthrough Goal grows stronger every year. Thank you to everyone who has helped us along our way! From our patient volunteers to our professional educators and corporate partners - the SSF Board of Directors and the staff are humbled by your support. We feel our dream of making Sjögren’s a household name is in our grasp but we still need your help. We need your support by volunteering, donating and continuing to spread the word about Sjögren’s. We encourage you to look for opportunities in this and future issues of The Moisture Seeker’s newsletter for ways to connect with the SSF! Remember that one person at a time, one community at a time and one physician at a time is what it will take to reach our goal of conquering Sjögren’s!